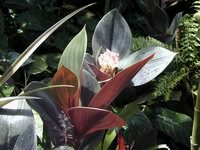 Botanical Description page for GingersRus plant database number " 3431 ". 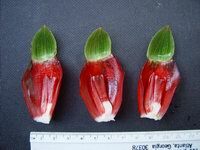 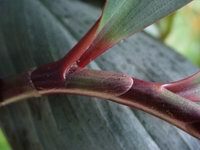 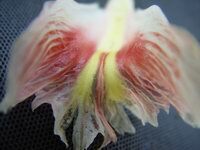 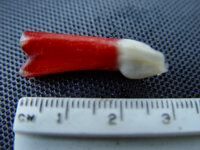 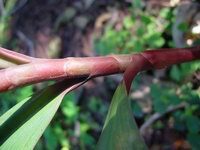 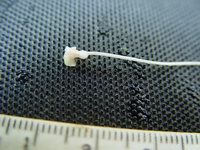 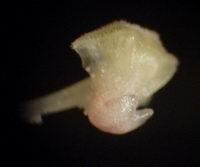 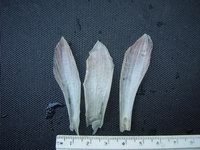 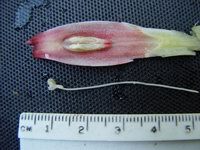 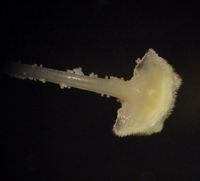 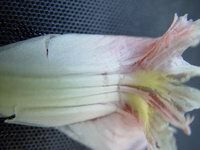 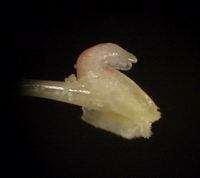 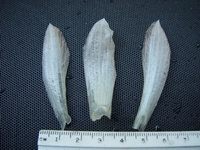 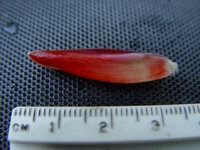 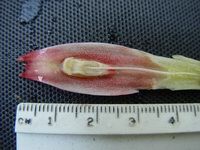 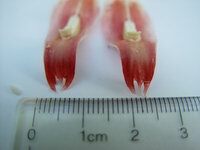 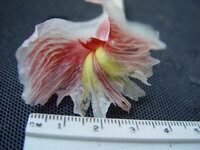 NOTES AND DISTINGUISHING CHARACTERISTICS:Maas says this is distinguished from others in C. claviger group by strongly plicate leaves and unequally 2-lobed long ligule. 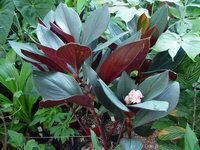 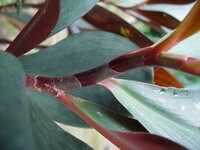 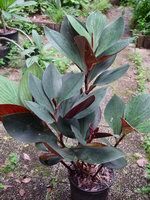 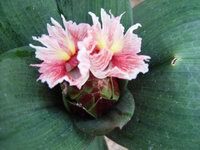 I have seen several very similar plants identified as Costus erythrophyllus that have flat, non-plicate leaves. 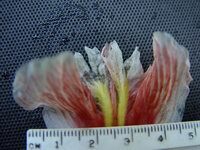 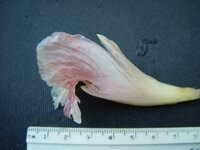 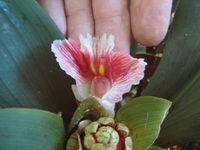 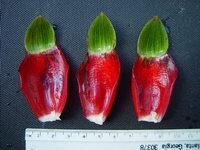 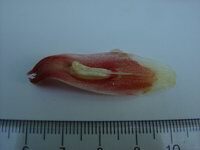 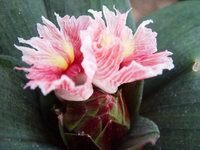 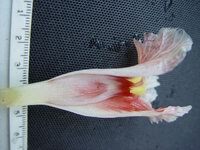 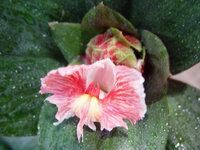 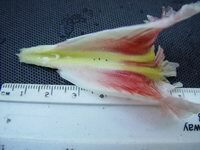 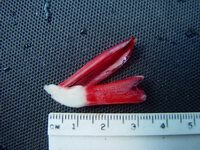 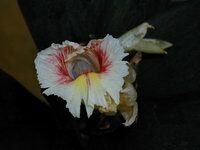 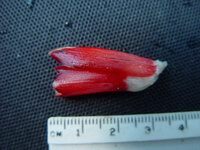 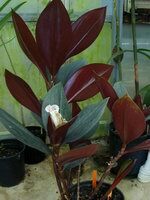 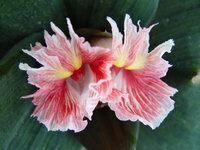 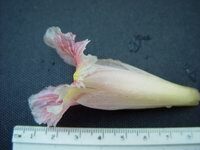 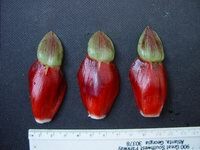 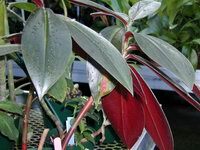 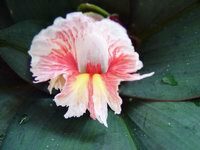 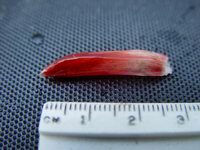 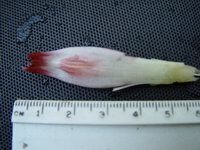 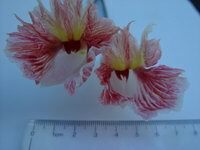 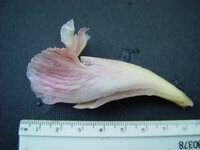 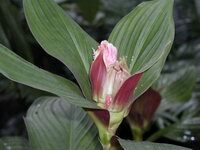 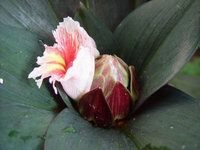 The photos for PID#7300 have NOT been verified as Costus erythrophyllus. 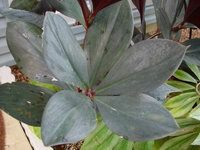 The specimen from USBRG#94-680 seems to match this description very well, and it is an unusual form with distinctive grey-green color on the adaxial side of the leaves.